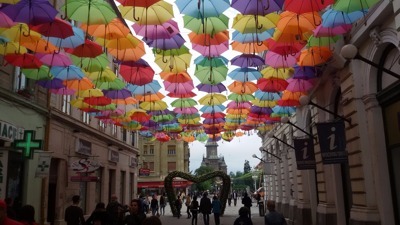 Timisoara is a large city, in fact, it is the country's third-largest one. It is rich with both lush parks and perfectly restored public squares. Once you appear here, you will find a number of sights to admire. Start the journey with the most popular tourist sights of the city, which are Timisoara Orthodox Cathedral, Piata Victoriei, Timisoara Historical Center, Bruck House, Timisoara Orthodox Cathedral, Muzeul de Arta, Biserica Reformata. Surely, once there are kids traveling with you, it's definitely worth walking in the Roses Park, Central Park, Botanic Park, Cathedral Park. By all means, get some time to visit Gradina Zoologica Timisoara, Padurea Verde. Here your kids will admire some truly funny animals! Other must-sees for family travelers are Parcul Copiilor, ExitGames, One Move Climbing Gym, Red Motor Timisoara, PlayZone. 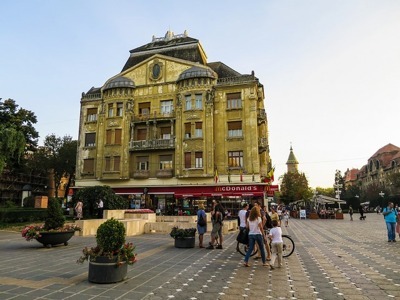 Choosing Timisoara as the next destination for traveling with your family, you are making the right decision. Both, you and your kids will get an utmost pleasure traveling here, in this magnificent city with fascinating architecture, charming nature, and delicious cuisine. And all that you need to make your journey to Timisoara perfect, is providing your family with secure transportation. Just hire a van with a driver in Timisoara and, no matter how extended your family is, will have the most convenient conditions for driving in the city and its suroundings. 8Rental can tremendously help you in this. We are the leading car supplier in Europe and guarantee the premium-level services you deserve and pay for. Due to the transparent and affordable pricing system used by 8Rental, all clients around the world can find a wonderful vehicle, which will suit their budgets and requirements. By the way, the fuel, as well as all fees and taxes are included in the offer. Just send us a quote now and you will be able to enjoy you jouney in no time! 8Rental has created a fleet of diverse minivans meeting different criteria. Finding the perfect one for you won't be a problem! For instance, book a standard Mercedes Viano if you need only up to eight passengers. This minibus is equipped with all primary comfort amenities including air conditioning, tinted windows, carpeted floors, comfy seats, audio system, etc. It is definitely possible to drive long distances in any direction in Timisoara in complete convenience by booking this particular vehicle. The cost of hiring Mercedes Viano will surely surprise you! 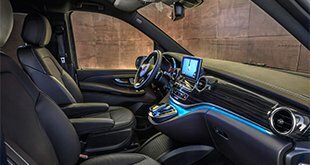 Mercedes V class VIP model is designed for passengers used to luxury driving. Here again, only up to eight people can drive together. The seats of this model are in aircraft style and guarantee comfort. The van looks simply luxurious! Rent a chauffeured van in Timisoara on the most profitable basis right now! Mercedes Sprinter and its VIP variant are more capacious minibuses that can accommodate around two dozens of passengers in complete comfort. Hiring either the standard or the VIP vehicle, you will find it packed with such important specifications as luxury seats, central heating, air conditioning, audio system, etc. 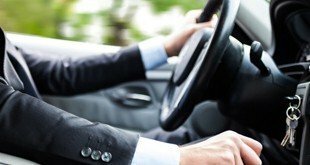 Regardless of the model you choose to rent, a chauffeur-driven minivan in Timisoara, from 8Rental will guarantee a full satisfaction! Do not spend your time on other rentals in Timisoara, just book a van with a driver with us and let us treat you as royals!